Wood, stone, snow and… fun! These fundamental elements have made Alpbach a go-to destination for those looking for an unforgettable and genuinely Austrian holiday experience. Add picturesque views, modern facilities, powder snow and slopes for every taste and skill level - what else could one wish to find in a ski resort? 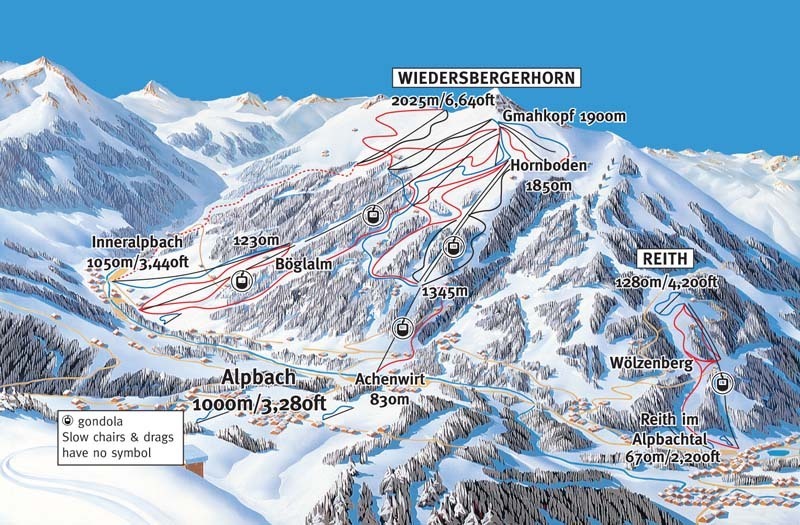 Alpbach together with the neighboring Reith, Oberau and Niederau is known as Ski Juwel Alpbachtal Wildschönau, or The Ski Jewel, whose 145 km of runs make it one of the largest and most varied skiing areas in Western Austria. Due to its location and relatively late time of development combined with strict building regulations, Alpbach has succeeded in sustaining its authentic Tyrolean character. In a television contest organised by Austrian television in 1983 Alpbach was even voted the Most Beautiful Village in Austria. It also hosts the Alpbach European Forum and for two weeks every year becomes the meeting place for planets leading minds, nicknaming it the Village of Thinkers. Alpbach is easy to reach if travelling by train. The nearest train station to the resort is Brixlegg Bahnhof, about 10 km from the resort, from which bus transfers can be arranged. Alps2Alps offers considerable discounts for off-peak, off-season and midweek ski holiday transfers to Alpbach. Travelling midweek can lead up to 60% savings if compared to weekend prices. Vehicle availability, transfer schedule, vehicle utilisation and other costs like road tolls and airport parking charges will also affect your transfer cost. We never over-inflate our pricing regardless of the season and always make sure our clients travel with comfort and ease at lowest price possible. Inneralpbach offers a special slope for children. The 100 m long piste is easily navigable but long enough to be enjoyed for hours. Those wanting to try out their skills for the first time can attend the Ski school Alpbach Aktiv which will help make first skiing experiences memorable for all the right reasons. You can book a private ski instructor, if the whole family is learning or improving their skills together. Snowboarders can try out a 40 metre long half pipe and plenty of off-piste powder routes. Not a fan of going downhill? Be sure to try paragliding or give a go on the 20 km of cross country skiing trails. Do yourself a favour and get your trip off the ground with a little assistance from Alps2Alps. We’re proud to offer the most reliable, affordable and enjoyable Alpbach resort transfers, all throughout the season. Take a load off and start enjoying your holiday the moment you step on board. If you’re out to get the best possible offer on your ski resort transfers to and from Alpbach, be sure to book in advance. Feel free to approach the Alps2Alps customer service team if you can’t find the service or destination you’re looking for on our website. Whatever your holiday plans, there’s no place for stress. Choose Alps2Alps and let our team of professionals take care of you and your fellow passengers!